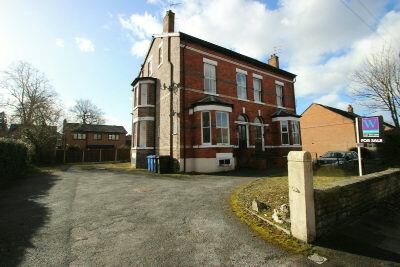 A GOOD SIZED MODERN APARTMENT INA QUITE CUL-DE-SAC AND WITHIN WALKING DISTANCE TO SALE TOWN CENTRE WITH EXCELLENT TRANSPORT LINKS NEARBY. Communal Entrance Hall. Large Lounge. Breakfast Kitchen. Bathroom. Two Bedrooms. Off Road Parking. UNFURNISHED. AVAILABLE NOW.